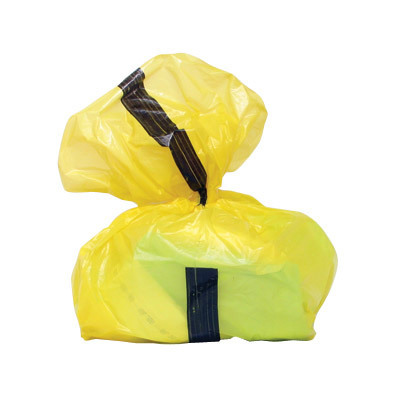 Suitable for 'hygiene waste', our Yellow Tiger Sack is an economical and practical solution for your business. Each one has been manufactured from a 25-micron material and can easily hold a capacity of up to 296 litres. They are ideal for waste that is not normally considered clinical but still requires appropriate marking. In turn, this helps waste disposal companies to adopt the correct handling and disposal procedures to reduce the risk of injury to another person. Each tiger sack is finished in a bright yellow colour with a highly visible black stripe down the centre. In addition, we stock a wide range of Black Sacks for use with your refuse needs - and all at exceptional wholesale prices.